If necessary, cut a small amount off of the grapefruit ends so the halves can stand upright under the broiler. Be careful to only cut only the very tip and not break through the white inner pith. 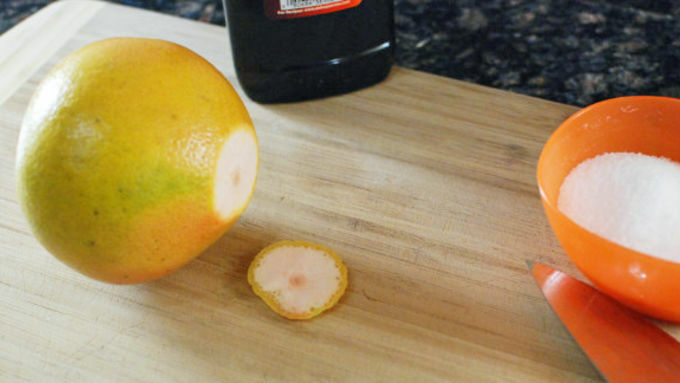 Cut the grapefruit in half. 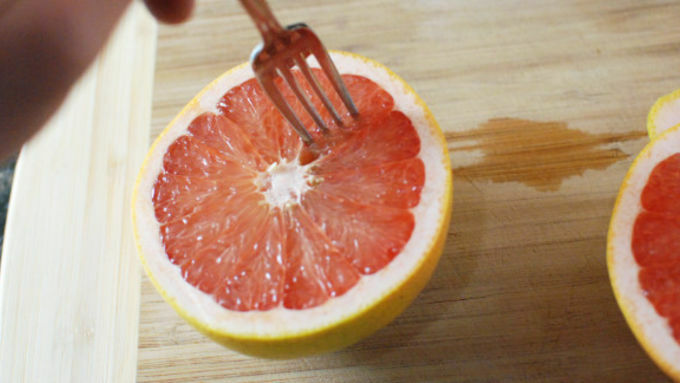 With a fork, gently poke the grapefruit. This will allow the liqueur to absorb better later. Use a pairing knife to go around the edge of the grapefruit so the segments come out better later. 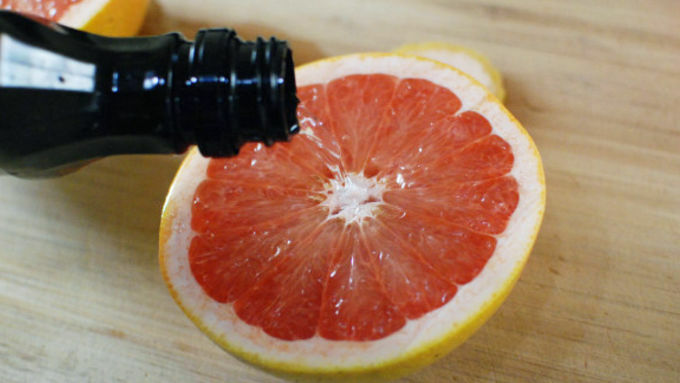 Turn each grapefruit half upside down so a little of the juice drains out. Set the juice aside for a separate use, or drink it right away. Carefully pour a tablespoon of the liqueur into each grapefruit. Do this slowly so it absorbs and doesn't just spill off the fruit and onto the counter. Top with the sugar in an even layer. Place grapefruit halves onto a baking sheet and broil for about 3-5 minutes until the sugar is hardened and light brown. Ever eat broiled grapefruit and wonder how it's made? We'll show you how – plus a little secret to make it extra special! Broiled grapefruit is a huge trend among bloggers and a nice twist on everyone's favorite breakfast treat. But it’s kind of...boring. 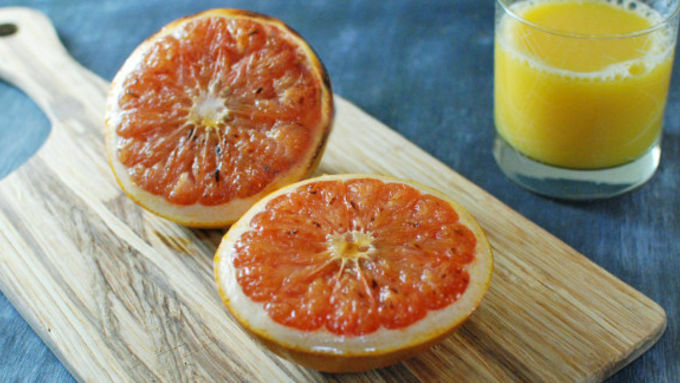 I love grapefruit – especially the cool, refreshing qualities of it. When you add sugar and heat it up it loses a lot of those. I still wanted to get on board with this trend though, so I decided to try and make it more interesting. And what do you do when you want to make something more interesting? Just add booze! Now this dish is transformed from a sad breakfast to a super healthy and light dessert, or even a fun brunch side!